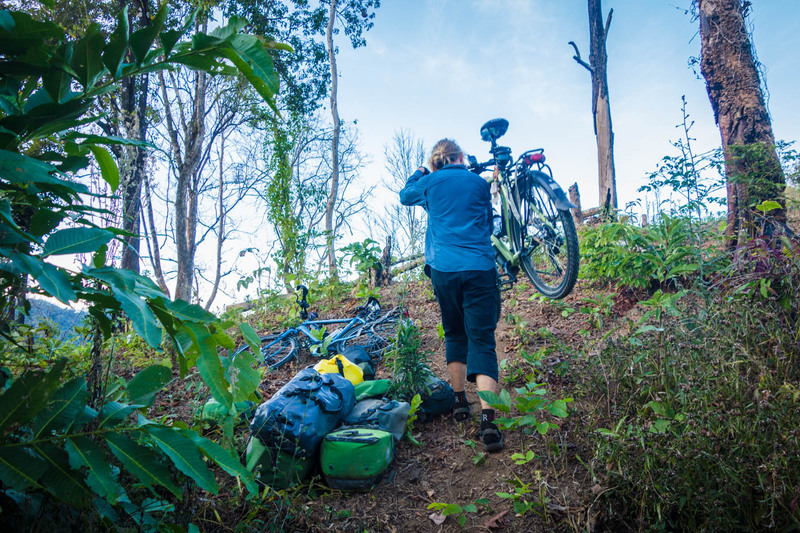 In this Cyclist’s Guide to Chiang Mai we will describe all the places that we have found useful in Chiang Mai. On and off we spent a total of four weeks in Thailand’s second largest city, we had bicycle maintenance done, we searched for a place to stay and we have been enjoying nice thai food from restaurants that are good for the budget. All locations are marked on the map at the bottom of this post! Triple Cats Cycle had been recommended to us by Bok Bok Bike in Bangkok. Pnuc has done great work on our bicycle and he is very knowledgeable on the maintenance and parts. We had new wheels built, cassette and sprockets changed, gear cable changed and he did a great job. He has a small selection of Ortlieb panniers and other things. Mong Cycles run by American Stu. We only visited the shop twice for a short chat and bought a few things there, has a fair selection of bicycles and also quality bikes for rent. Lek’s bicycle shop, we only found out about this shop just before we left Chiang Mai but it is a gold mine for bicycle parts. They have almost everything! Just walk in and slowly walk to the back and you will be overwhelmed by all the things. We stayed at Paocome Guesthouse (Update jan. 2017 Pao come is closed) the whole time in Chiang Mai (after moving out of our great Warmshower hosts). This guesthouse is run by two women Eah and Miao. It is a real family-run place and it is beautiful, the courtyard is full with beautiful plants, they have a fountain along the walls and fish in the water. The house is very charming and made from wood. There are 12 rooms, some of the people stay longterm. It is quiet and they are willing to rent out rooms for a monthly rate. It is just outside the moat but everything you need is walking distance. The only thing to consider are mosquitos because of the many plants in the garden (all the rooms have mosquito nets). Rooms have private bathroom and fans, daily rate for 2 people was 350Baht when we were there, we got a 30days deal for 7500 Baht. We spent two days looking for a place to stay longer term. The north west corner outside the moat is known for long term apartments. We did not enjoy the less characteristic atmosphere in these apartments (square and concrete). We did enjoy two other guesthouses: TipTop Thai (also monthly) and Chor Chang guesthouse (only daily, not so budget), although we didn’t stay here. Kanjana restaurant. We went here for dinner quite a few times. Family-run, Thai dishes, always busy. Good food and very tasty. Dishes between 60 and 90 Baht, excl. rice. Restaurant with satay: Lucky find, the satay is great and very tasty! They have other dishes as well, no English menu, so point and try. You get 10 satay sticks for 40 Baht. If anyone has better experiences in Chiang Mai please leave a comment with suggestion! The night markets are a touristic highlight for many people in the city. It is nice to look around although there is a very touristic atmosphere. We have included them here because it is not always easy to find out where they actually are. Everyday Night Market. Regular Night Market things. At the southern end there are a few areas to the side with many more stalls, food and handicrafts. Runs vertically along Khampangdin road. Sunday Night Market. Very busy, more handicraft, food and more art. Runs horizontally along Rachadamnoen road. Bicycle route Doi Suthep: Cycling flat out of the city. When passing the zoo the road goes up until the top of the pass. The route passes some nice viewpoints. Many city cyclists cycle this section as a training run. We rode this route. Bicycle route Huay Tung lake: Nice flat route out of the city along the river, short section on a busy road, then the turnoff to the lake which is quiet. On the return most of the track is along a bicycle path. We rode this route. Bicycle route Samoeng Loop: Looking for a day out of the city then this could be for you. 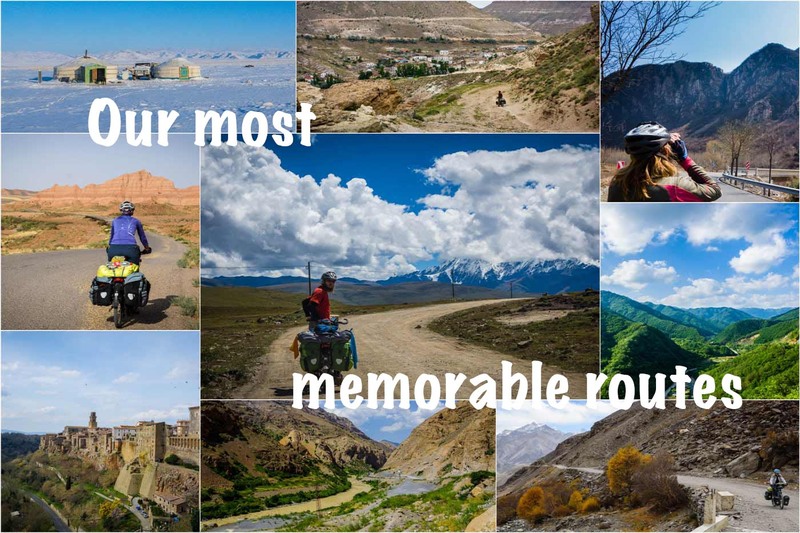 The route passes along some touristic spots and a lot of natural beauty. We didn’t ride the route but it was recommended to us. Bicycle route Doi Pui: If you want to do some hill training this could be the route for you. We did not ride this route but it covers the passes of both Doi Suthep and Doi Pui and the area should be very nice. We enjoyed our stay in Chiang Mai. It is a large city, but at the same time you can get away from it all and stroll in the inner city or take your bicycle into the nature areas around the city. It is a useful place for bicycle maintenance, spare parts, Thai and Western food and socialising with others. 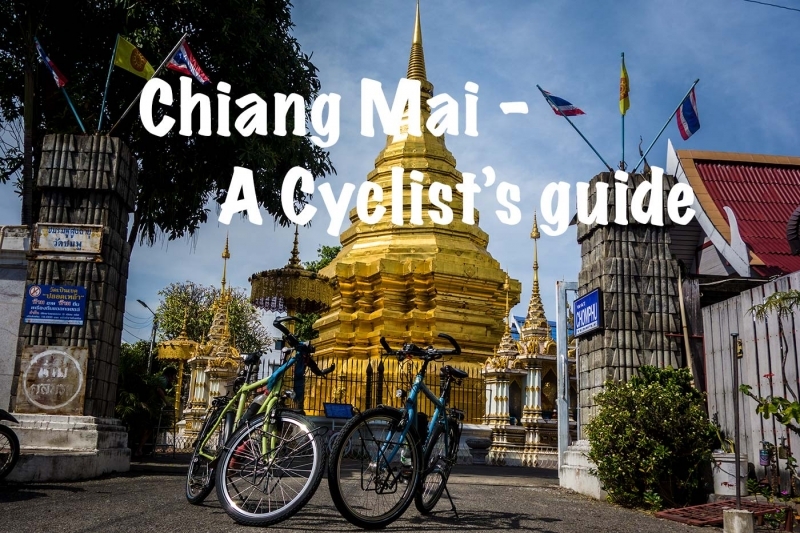 If you have anything to add to our Cyclist’s Guide to Chiang Mai: updates to information or found it useful, we would love to hear from you in the comments! I understand you correctly, do you mean this route https://catmotors.net/routes/samoeng-loop-mae-sa-valley/ ? Are you guys in Thailand? Yes, leaving Chiang Mai today on our way to Myanmar. Had seen you were in Vietnam are you in Thailand now too? 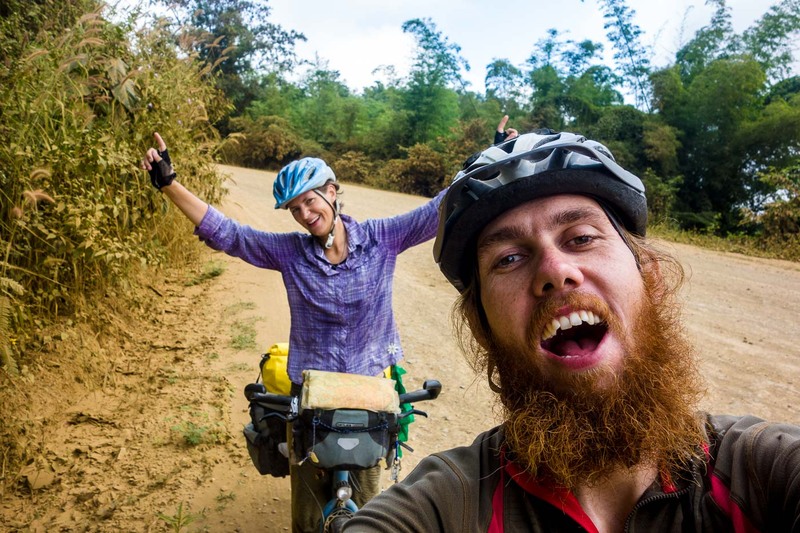 Heading to Thailand on the 19th – the Chiang Mai I think…but not by bicycle! Too bad we’ll miss each other! Really too bad. You’ll enjoy it here it’s quite nice!